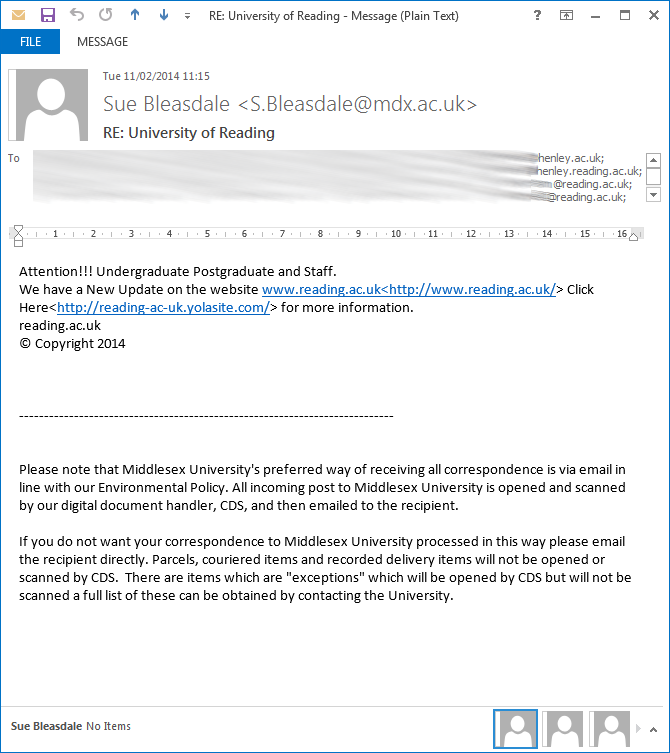 We have had a mail sent to University staff this morning which is another scam. Do not click on the links in the email. We have taken steps to block the site and to mitigate the risks associated.